Oh, this book was so good. I loved all the action, and there was tons in this one. This series just keeps getting better and better for me with each book I read. More drama, more action and definitely more suspense. I just can't get enough!! Derek is still sooooooo swoon-worthy too!! Now that is one hot vampire!!!! If you haven't read this series... get to it! You won't be disappointed! 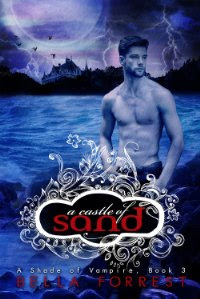 I've just been offered book 1 to review on Goodreads and can't wait to read it! Any author that can make you scream about an ending is someone I want to read!